Reproduction of a French Empire Picture Frame gilt on wood. This early 19th century model is available for any particular painting size so that you can frame with it any painting. | Calculate Price | We Ship it in 60 DAYS from order and the delivery is by DHL courrier. Shipping process lasts about 2 working days for Europe and 5 days for the rest of the world. This Empire Frame is made in ayous and tulipwood perfectly combined together to obtain the maximum strength. It is completly customizable in order to meet any client desire. For instance you can change color and shape. “Patina” is an Italian word that refers to the color of the frame. Making an astonishing Patina is one of the major skill of the Gilder in order to make seem this Reproduction Empire Picture Frame as an original one. To complete this process Gilders use some different kind of stones to hit the frame and create some fake tiny broken parts. In addition the worm halls are fake as well and you will be able to see them anylizing deeply the picture detail above. As a result any damaged little part of the frame is just a part of a bigger plane. 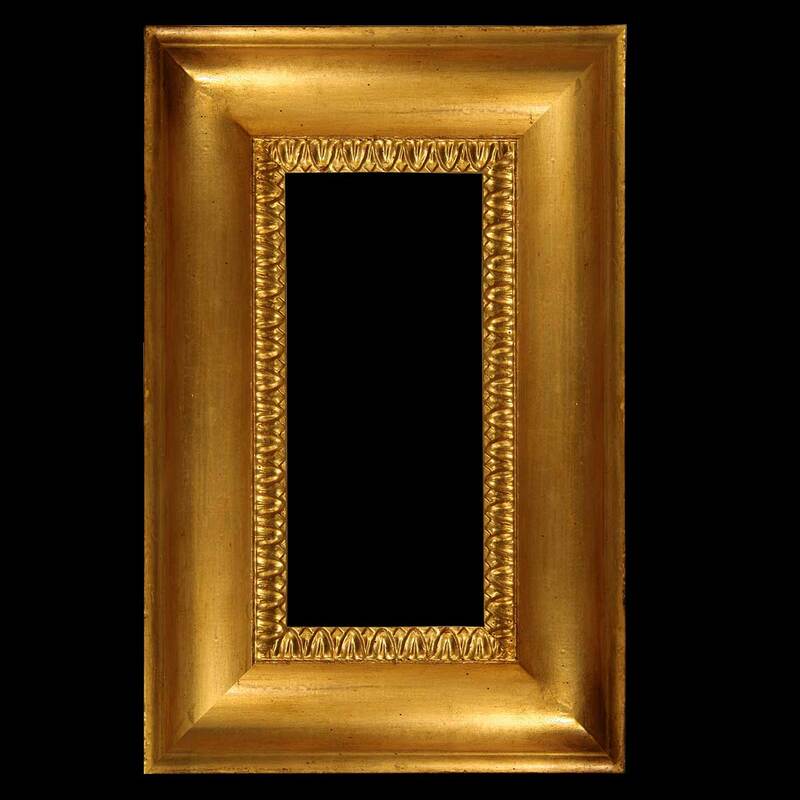 This Reproduction of Empire Picture Frame fit very well with any kind of antique painting. 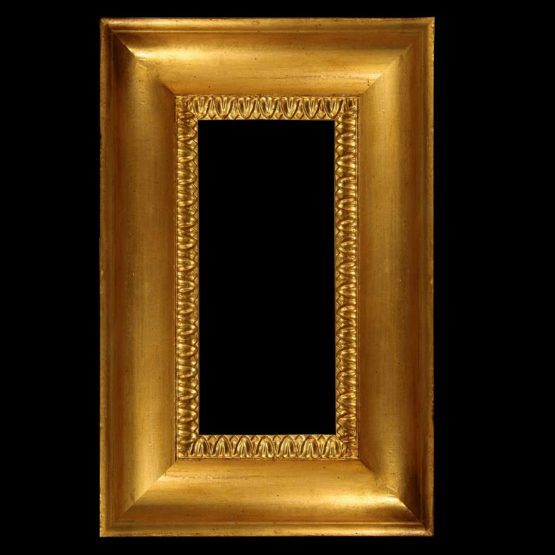 In the last years our customers used it to frame several modern painting as well. 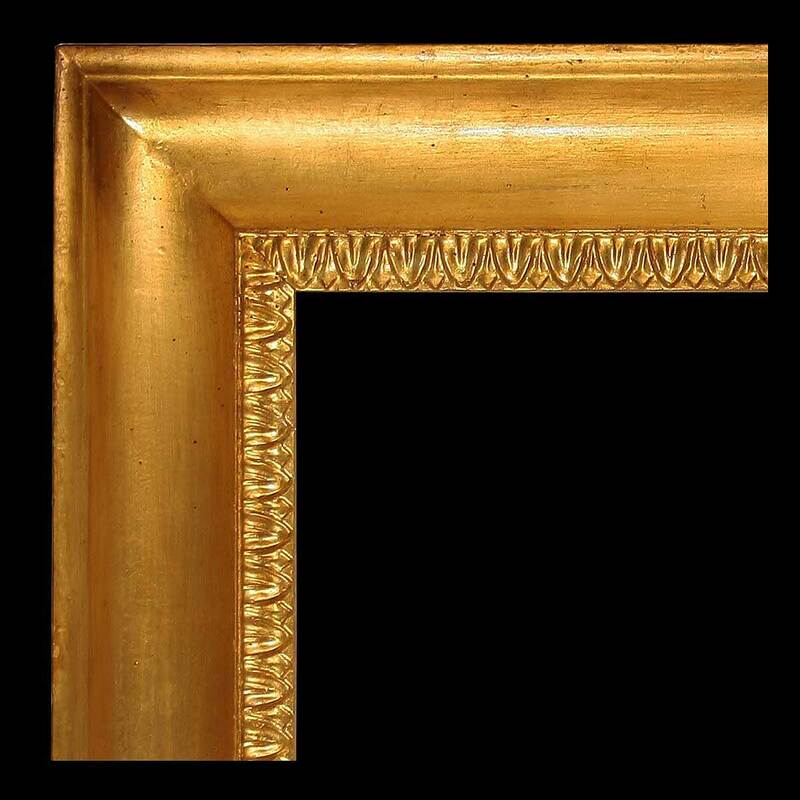 In conclusion our advice is to choose this frame to frame an important painting or if you need just a beautiful frame.